Join us for a weekend of Free Family Fun this Easter! Meet the Easter bunny who is giving out treats on the mall, have your face painted and pick up an extra special balloon made just for you! And, for those of you who are a little bit more creative, you can design and create your very own chocolate lolly to take home and enjoy. 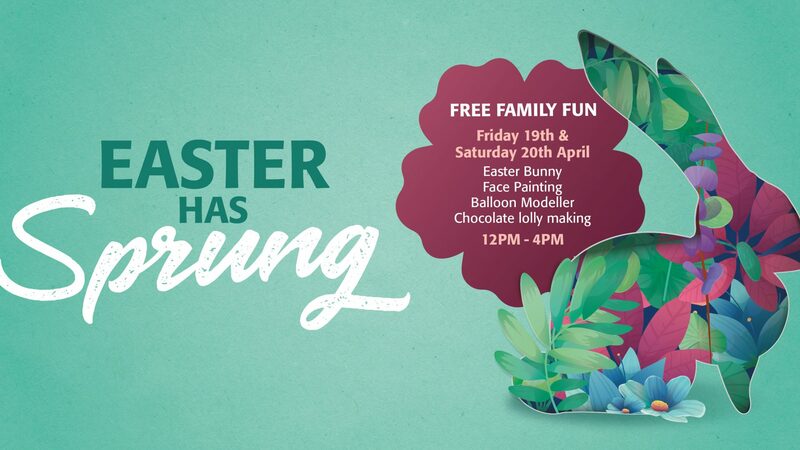 Celebrating all things Easter from 12pm – 4pm Good Friday (19/04/2019) and Easter Saturday (20/04/2019).